The Honeywell 50250-S is a mid-range TrueHEPA air cleaner which removes up to 99.97% of all common household particles down to 0.3 microns in size in spaces up to 390 square feet. Boasting a Clean Air Delivery Rate of 250, the Honeywell 50250-S 99.97% Pure HEPA Round Air Purifier is designed to provide 360-degree airflow to purify even the most spacious of rooms. 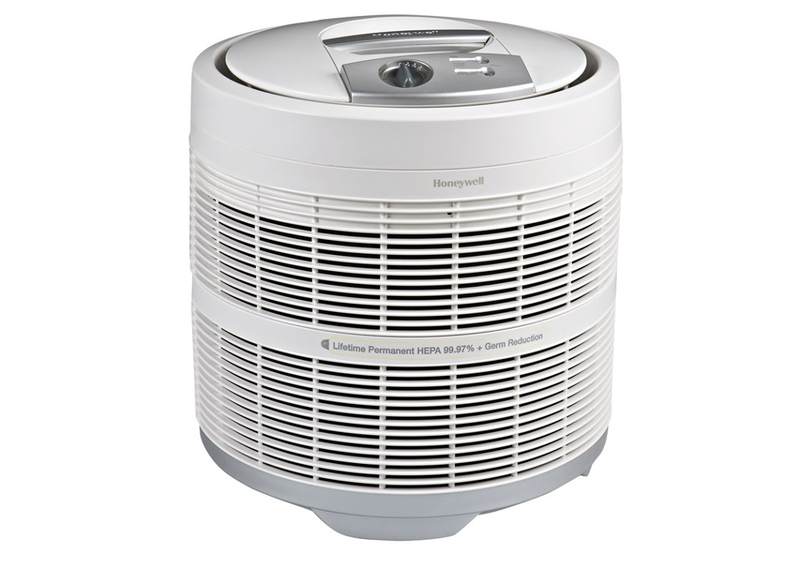 Carbon Pre-Filter – Designed to capture larger particles like hair, dust, and pet dander, the Honeywell 50250-S 99.97% Pure HEPA Round Air Purifier’s carbon pre-filter prevents clogging and extends the life of the primary PureHEPA filter. It’s also easy to remove and clean for long-lasting care. Permanent PureHEPA Filter – The 50250-S’s permanent PureHEPA filter is the powerhouse of the unit, able to capture airborne pollutant like dust, pollen, smoke, mold, and pet dander 99.97% of the time. Ideal for anyone prone to allergies or those who have weak immune systems, the Honeywell 50250S’s PureHEPA filter ensures confidence in the air quality in your home. 360-Degree Airflow: The Honeywell 50250-S’s patented 360-degree airflow design allows it to take in and release air more efficiently and nearly any other air cleaner on the market. In a 390 square foot room, the 50250-S can completely filter the air every twelve minutes. Replacement Indicator – This Honeywell purifier comes with a replacement indicator so that you know exactly when it’s time to change your filter. With three different speed settings, you can ensure the right amount of energy consumption and output to match your needs. Honeywell guarantees the quality and build of the 50250-S by offering a five-year limited manufacturer’s warranty. At only 20 pounds, this is one of the lightest air purifiers in its class – making it perfect for moving from room to room as needed. It also has a carrying handle at the top, making it easy to move around as needed. 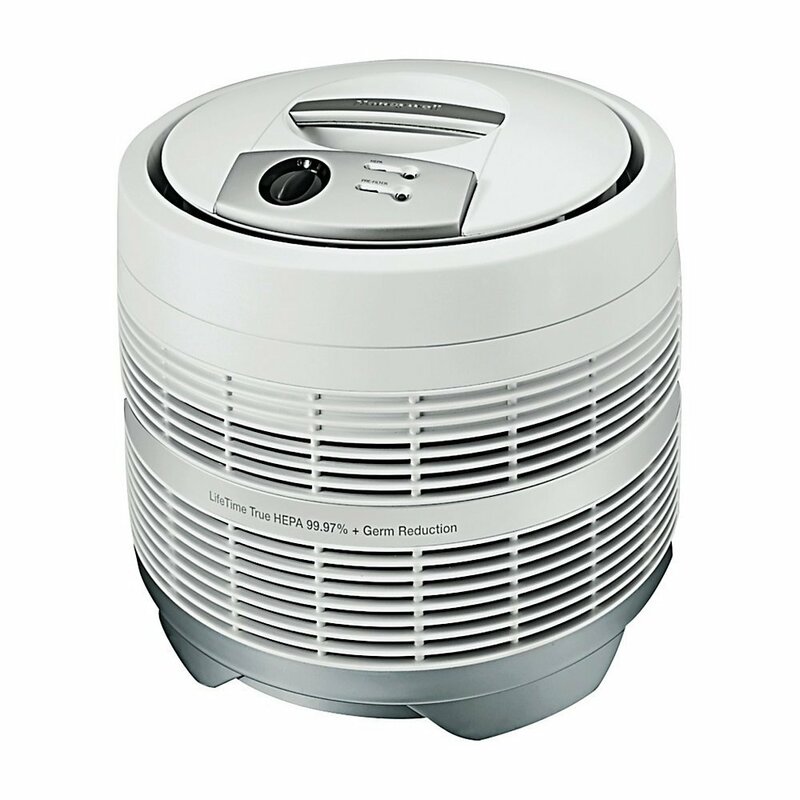 The Honeywell 50250-S 99.975 Pure HEPA Round Air Purifier is a smart choice for anyone looking for a great medium-space air cleaner at the price of a good single-room cleaner. There are a few downsides with the 50250S: namely its higher-than-average energy consumption and fan which can produce audible noise on its highest setting – the latter of which makes this unit less-than-optimal to use in bedrooms. 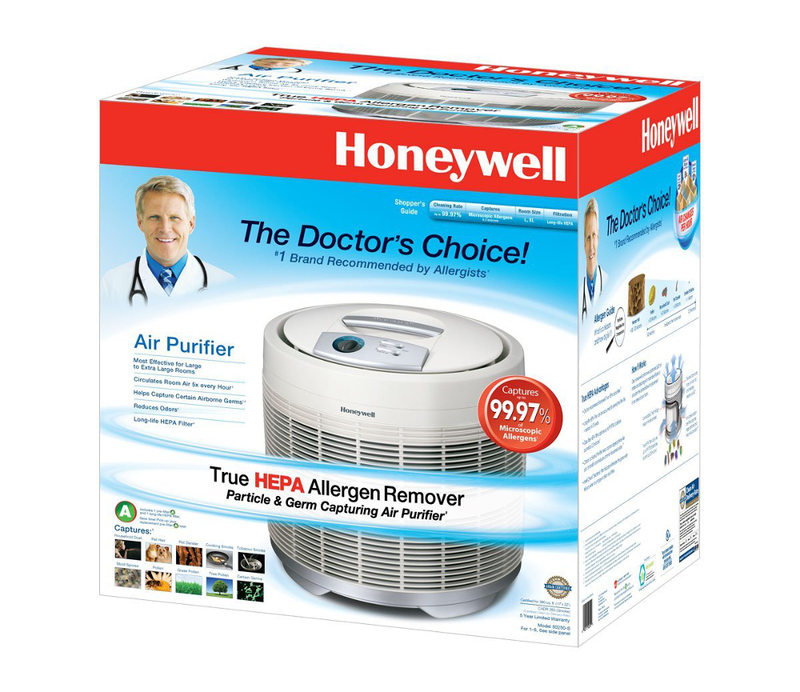 All-in-all, the Honeywell 50250-S is great for use in living rooms and smaller apartments, especially for buyers looking for a well-priced air purifier that works just as hard as the brands which cost hundreds of dollars more. covers up to 390 sq.ft.